Joey Beltran, a family oriented fighter who fights for the enjoyment of the crowd and landing punches to other people's chin because that's what he is paid to do. 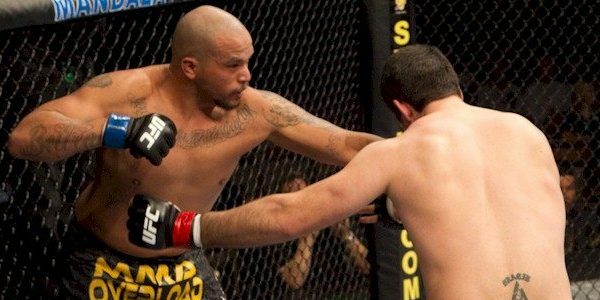 Joey Beltran became a crowd favorite in UFC because of his exciting style and never-say-die attitude. Despite of that, “The Mexicutioner” comprehend that he’s in a must win situation on this Saturday at UFC 131 in Vancouver. Joey Beltran, with a career status of 12 – 5, will square off with Strikeforce and Bellator veteran – Aaron Rosa – in preliminary card action. On his preparation against Aaron Rosa, Beltran has allocated his training time with the likes of UFC bantamweight champion, Dominick Cruz, Phil Davis and Travis Browne at the Alliance Training Center in California. Every training partners has played an important roles in Beltran’s improvement as an MMA fighter. And for Joey Beltran, he’s not fighting just for himself but he’s fighting for he’s family. “I don’t want to be embarrassed in front of my mom,” Beltran said. “My mom’s over there watching, and no one wants to lose a fight in front of their momma. (Whether on) TV or being there, eventually my mom’s going to see this, and if I lose, I better go out like a gangster because I know I’m going to be made fun of when I get home. “I don’t want to be embarrassed in front of my mom,” Beltran said. “My mom’s over there watching, and no one wants to lose a fight in front of their momma. (Whether on) TV or being there, eventually my mom’s going to see this, and if I lose, I better go out like a gangster because I know I’m going to be made fun of when I get home.